Salad probably is not the first thing that comes to mind when you are planning a winter meal. Cold weather calls for hearty, belly-warming soups, stews and casseroles, of course. But to accompany those stick-to-your-ribs dishes, there is no better match than a salad made with seasonal produce — one that provides crisp, bright contrast and has substance enough to stand up to them. This salad is a quintessential example, a combination of bold, fresh tastes and colours that come together as a perfect foil for a hot one-pot main course. 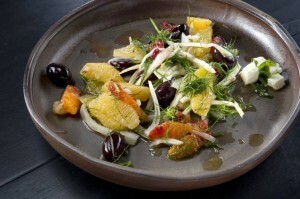 The thinly sliced fennel at its base is cool and refreshing, but it is not shy like a tender spring lettuce. Rather, it provides a definitive anise flavour and a big crunch that plays off the sweet-tart juicy citrus, one of the season’s produce highlights. This time of year, oranges are plump and perfect, and there is a remarkable variety to choose from. If you can find them, get blood oranges, whose flesh has a stunning red hue and a generous pucker. Cara Cara navel oranges, a bit sweeter and gloriously pink inside, are also a special treat. If neither of those is available, regular old navel oranges work just as well. 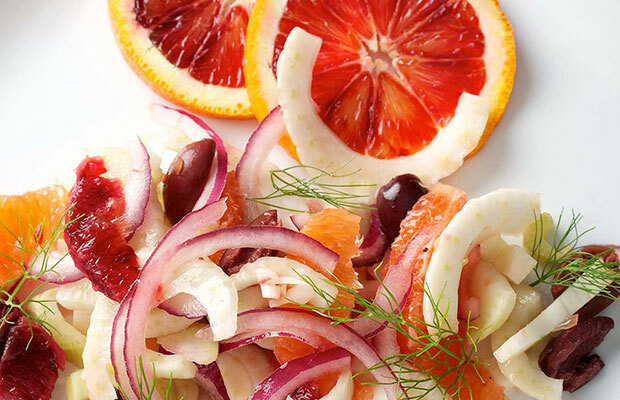 Salty olives and slices of red onion add punches of contrasting flavour, and a citrus vinaigrette ties it all together. Pair this salad with hearty Mediterranean-style stews, soups, bakes and braises, and it will brighten your day as much as the hot dish warms it.